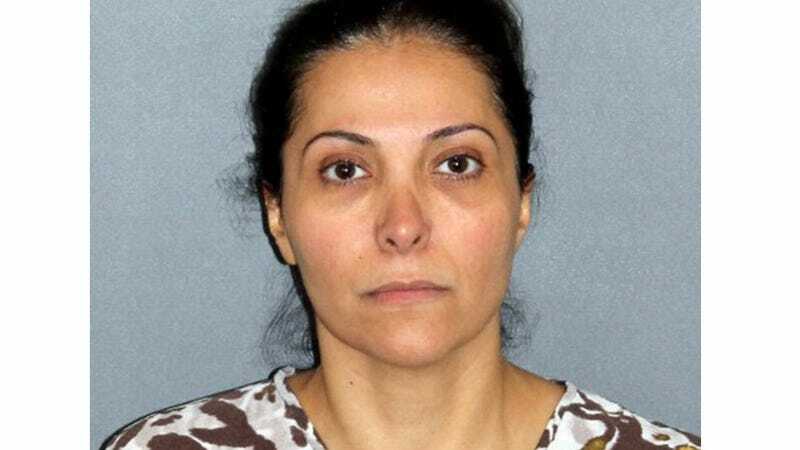 A Saudi Arabian princess may be the first person in Orange County to be prosecuted for human trafficking after California's Proposition 35 raised the penalty for the crime last November. The woman, a Saudi national named Meshael Alayban, has been accused of slavery after holding her maid against her will in her Irvine home. The maid was one of five who worked in Alayban's home. The Kenyan woman escaped from Alayban's house and flagged down a bus, eventually reaching Irvine authorities to report her boss. Alayban has allegedly stolen passports from her Kenyan maid, along with the four Filipino women she was working with. Though there is no sign of physical abuse, the Kenyan woman reports that she was working 16 hour day for $220 a month, a far cry from the $1,600 she was promised after signing a two-year contract with the Saudi family. Though cases of slavery are few and far between in the wealthy suburbs of Orange County, cases like Alayban's are fairly common in her home country of Saudi Arabia. The Kenyan woman reported that she joined the Alayban family in March 2012 in Saudi Arabia, like many maids who travel from their impoverished countries to the Gulf states in hopes of earning a better salary. "They are confined in their sponsor's house and most of them do not have access to mobile phones so nobody can know their working condition or see how they are being treated by their sponsors," said Philippine Labour Attaché Delmer Cruz. In a highly publicized case in January, a Sri Lankan maid was beheaded in Saudi Arabia after her employers accused her of strangling their 4-year-old son. The maid claimed he choked on his milk,but was beheaded with a sword nonetheless. The incident prompted President Mahinda Rajapaksa of Sri Lanka to made personal appeals to the Saudi government, to no avail. But the beheading brought international attention to the rights of maids in Saudi Arabia and other Gulf states. The widespread employment of maids from impoverished countries in the Gulf states explains why Alayban may have perceived her actions to be the norm, only after moving to California, the penalties for essentially holding maids captive are very real. As for cases in the Gulf states, the vast majority of them go unprosecuted.